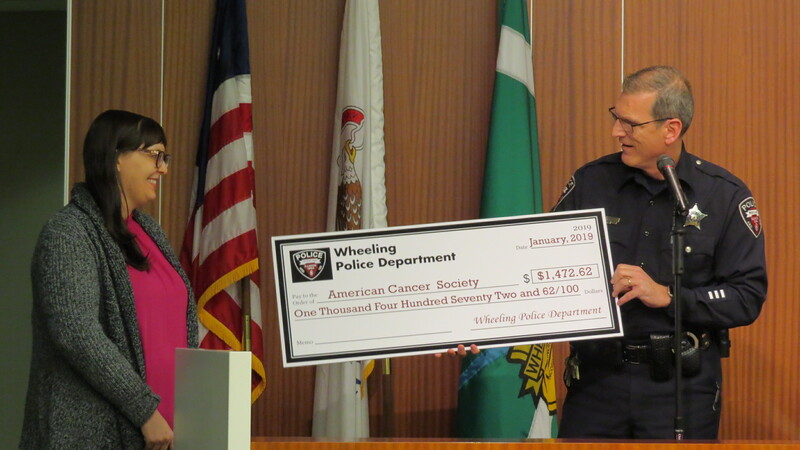 Wheeling Police officers and Wheeling Citizen Patrol members came out last October for a McCare Night at the Wheeling McDonald’s in support of the American Cancer Society. That event raised close to $1,500.00 for cancer research. 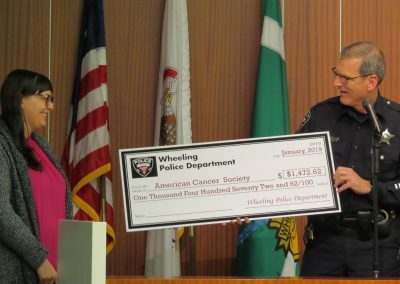 On Monday, February 4th,2019 during the Wheeling Village Board meeting, Wheeling’s Crime Prevention Officer Scott Laverd presented a check to American Cancer Society Community Development Manager Marlie Pykelny for the funds that were raised that night. 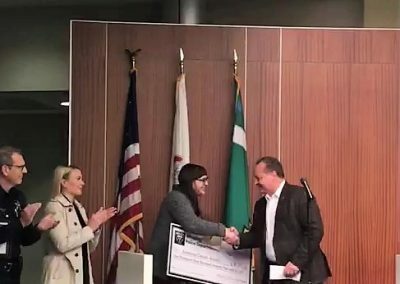 Marlie explained that this generous donation from The Bear Family McDonald’s touches close to home for her since her mother is a cancer survivor and every penny is needed for research. Also, at the presentation was Wheeling McDonald’s Owner-Operator David Bear of the Bear Family Restaurants. 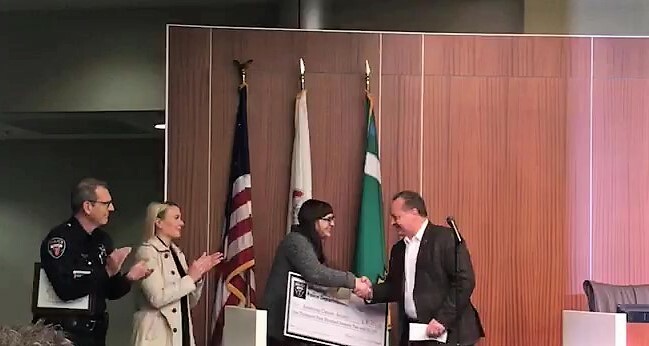 Mr. Bear surprised everyone with an additional donation rounding out the total donation presented to the American Cancer Society to $2,000.00.